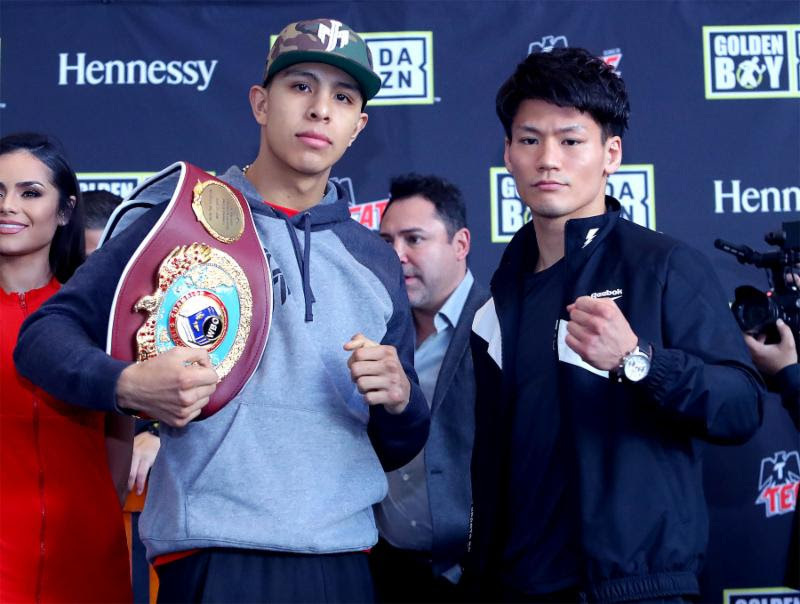 Mexican warrior Jaime Munguia (31-0, 26 KOs) and Japanese contender Takeshi Inoue (13-0-1, 7 KOs) hosted the final press conference ahead of their 12-round battle for Munguia’s WBO Junior Middleweight World Title. The action will take place on Saturday, Jan. 26 at the Toyota Center in Houston, Texas and will be streamed live on DAZN – which is just $9.99 per month after a one-month free trial. Fans in Houston can purchase tickets starting at just $25 at ToyotaCenter.com. “This event is very important because not only does it mark a great relationship with one of the – if not thebest promoter in Mexico – in Zanfer Promotions, Fernando Beltran, but it’s also important because it’s the first of many events that we will be streaming live on the new digital platform DAZN. “I strongly feel that DAZN has really changed the game in many ways. There are many people who love watching boxing throughout the United States but sometimes it’s a little too expensive to watch a pay-per-view fight.